Thank you for dropping by Kwaj Net! What brings you here? Odds have it that you are seeking information about an incredible island named Kwajalein, which is the largest island in an island chain named Kwajalein Atoll. 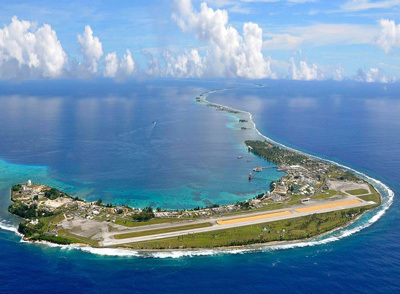 Kwajalein is one of the many atolls that make up the island nation of the Republic of the Marshall Islands (RMI). You can find out more about Kwajalein, endearingly called “Kwaj” by the locals, on the About Kwajalein Island page. Looking for cool Kwajalein merchandise? Check out the selection of Kwaj Net designed products. Keep your Kwaj memories alive with these endearing products. Stay informed about news on Kwajalein, the Marshall Islands, social media and blog “best of” links, as well as website updates and new merchandise announcements. Kwaj Net strives to provide quality information that inquiring minds and job seekers desire. Can’t find it? Submit your inquiry here. Whether you are here to connect, learn or engage, there are all sorts of ways to enjoy Kwaj Net. CONNECT: Are you looking to connect with current and/or former “Kwajers”? You can do so either on the Kwaj Net Facebook page, or in the soon-to-be launched The Kwaj Net Forums. LEARN: Do you want to discover the United States’ military mission on Kwaj, island job openings, activities/amenities on Kwaj, Marshall Islands history (including World War II and the Nuclear Legacy), Marshallese culture or Marshall Islands weather? You can find it all here! ENGAGE: Are you a current or former “Kwajer”? Chances are you came here from either the Kwaj Net Facebook page, the Kwaj Net Newsletter or found out about the website from Kwaj friends. You’ll probably be quite interested in the blog and forums, the latter of which will enable you to engage in lively discussions about all-things-Kwaj. The banter is sure to be intense! …but please keep it family friendly. If you cannot find what you are seeking, please send your question(s) via the Contact page. Kwaj is indeed one of the most unique islands in the world. Enjoy your visit today and discover what makes “the worlds largest coral atoll lagoon” so intriguing. The website is constantly evolving and there are many aspirations for the future regarding new pages, features and functionality. You can discover the lineup by visiting the What’s New & Next page.